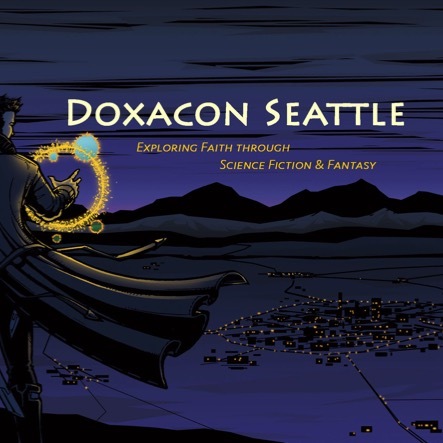 Doxacon Seattle is a conference devoted to the exploration of Christian themes in speculative fiction, such as science fiction and fantasy. We gather in fellowship to discuss our experiences of how our faith influences our perception of the popular culture we consume. Doxacon Seattle is an event appropriate for adults and children aged 12 and above. Tanya Keenan discusses how stories of anti-heroes in Science Fiction and Fantasy teach us to sometimes see below the appearance of motives and how their transformation provides inspiration hope, similar to stories of sinners who become saints in hagiography. Presbytera Elizabeth Tervo discusses what it might be like to share the gospel with beings on other planets. What kind of challenges might there be to our concepts? Could faith be already there and what might it look like? What are problems with some attempts to portray this in contemporary stories. How might an Orthodox approach be different? David Linz differentiates Science Fiction from Fantasy and discusses how Science Fiction led him on his journey from atheism to Christianity. James Wyatt, Senior Game Designer for Magic: The Gathering® discussed how imagination allows us to envision ourselves as others and thereby learn understanding, values, and empathy. Reading a story and identifying with the hero of the story can cause changes in our life. We can learn to live and act in hope. Dn. James Ferrenberg discusses the power of Story and its ability to communicate reality and transcend the materialist worldview and the religion of science as the only source of truth.